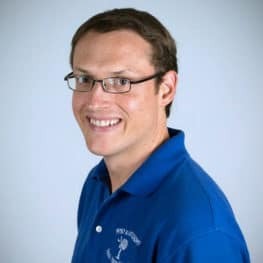 The North Carolina Section of the American Association of Physics Teachers is open to all physics teachers and those interested in the teaching of physics, especially in the state of North Carolina. We hope that you will join the NCS-AAPT so that we will see you at the next meeting! The objectives of the Association are to advance the teaching of physics, to further the appreciation of the role of physics in our culture, and to enhance effective communication among those concerned with the teaching of physics at all levels. "Enhancing physics education with computation"
This is a record of email sent to the NCS-AAPT Google Group. This calendar include conference deadlines and dates. Contact the officers of the NCS-AAPT for questions about membership, meetings, or this website. The is a list of NCS-AAPT members. Share files related to the NCS-AAPT here. The NCS-AAPT is recognized as a nonprofit corporation under the provisions of the North Carolina Nonprofit Corporation Act. The NCS-AAPT is exempt from federal income tax under section 501(a) of the Internal Revenue Code as an organization described in section 501(c)(3). The North Carolina Department of Revenue has assigned the NCS-AAPT an exempt status for franchise and income tax purposes.